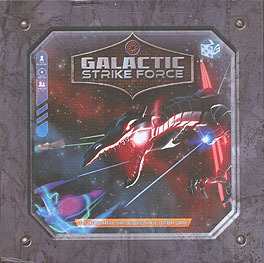 Save the Galaxy from being Overrun! The galaxy is teeming with menacing forces! A corrupt criminal organization controls the ever-present underworld, a pestilent infestation of metal-devouring Technovores seeks to consume all it encounters, and the majority of populated sectors are controlled by a mighty military regime and its unstoppable armada! These threats - and others even more diabolical - have the galaxy by the throat. What is to be done? You and your ragtag team of ne'er-do-wells have banded together as a Strike Force! Smugglers, mercenaries, and bounty hunters, you must use your skills to protect what's left of the galaxy before it's too late!